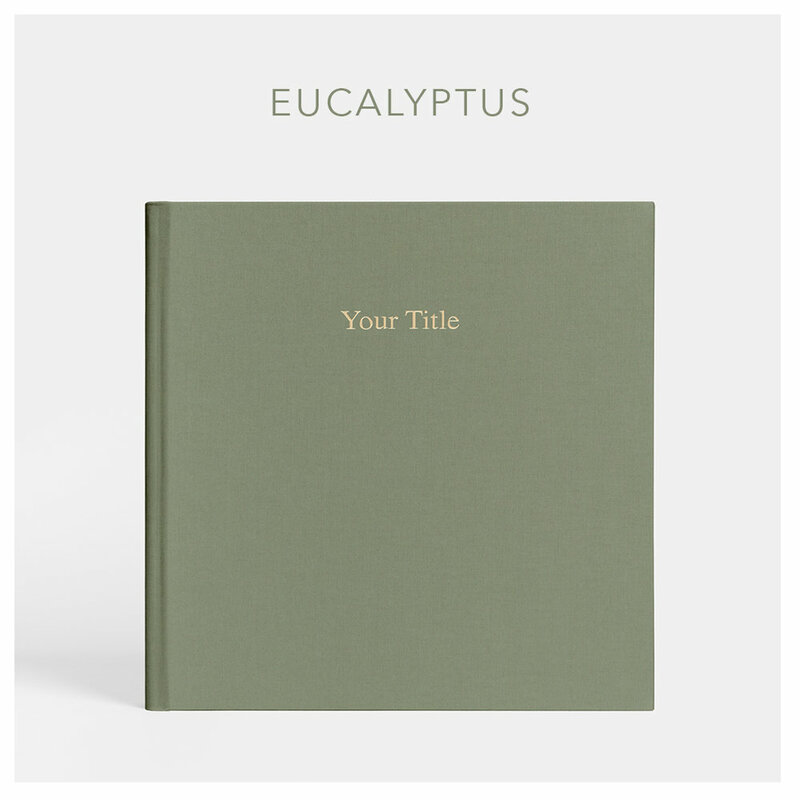 These are all the colour options for the Layflat Album (large or small). 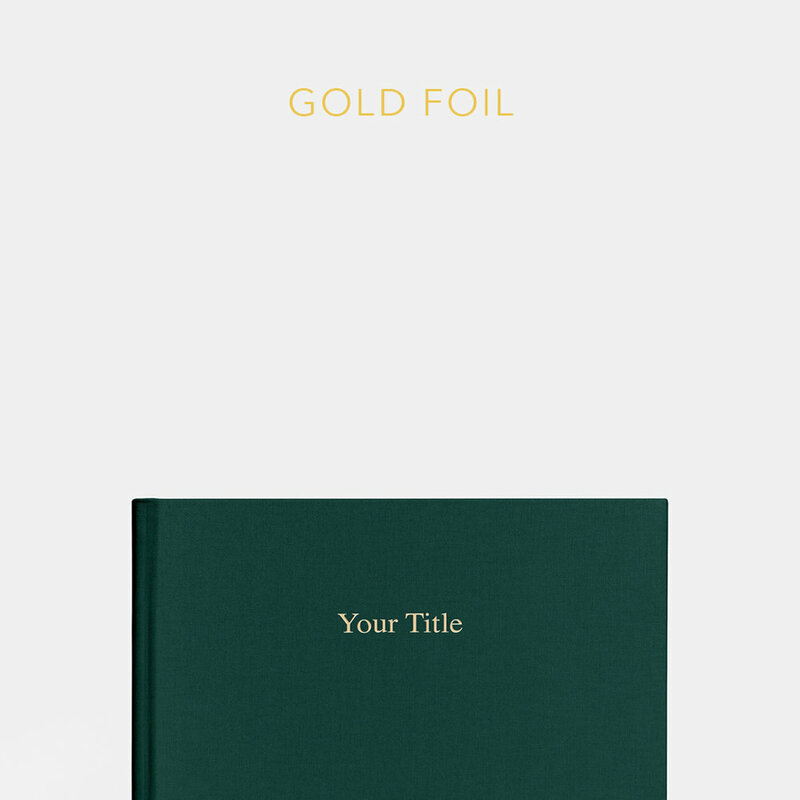 All albums come with gold/copper/silver foil engraving of your names on the front as well as your date on the binding. 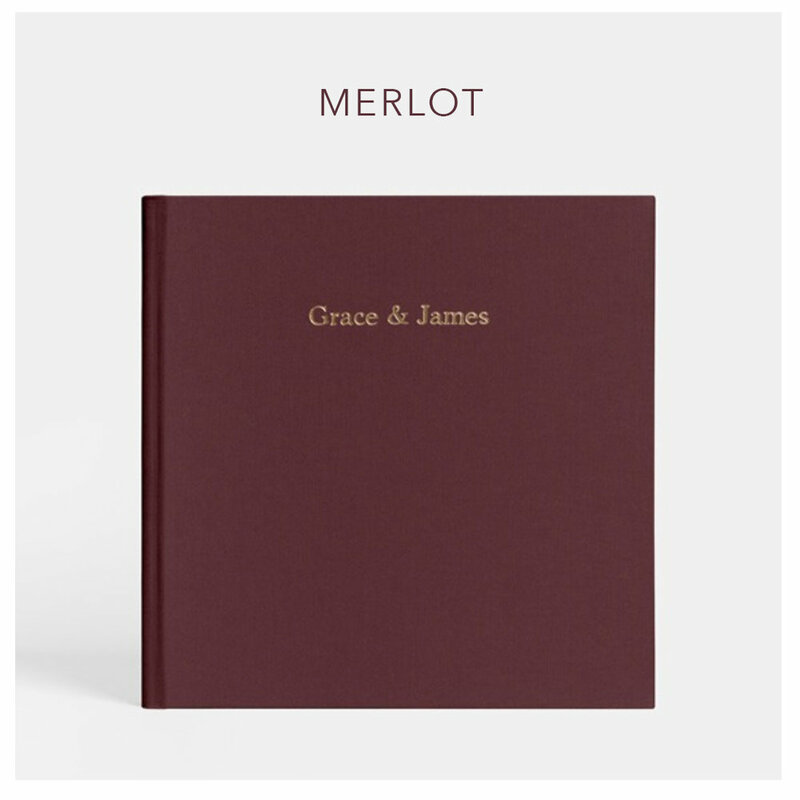 The options can be seen after the colour options. 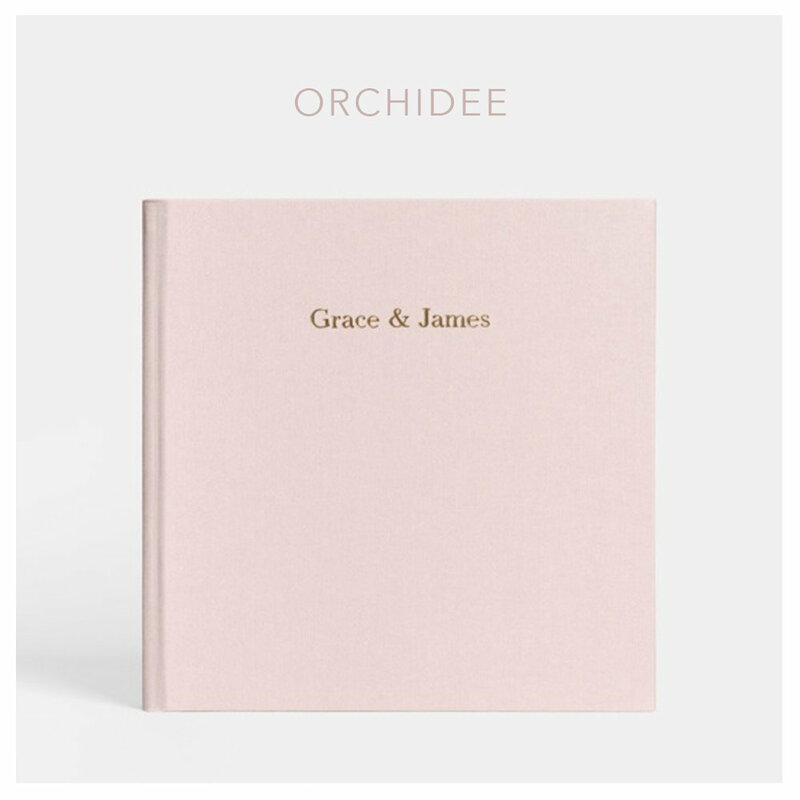 Although the text is large in the swatch previews we offer a smaller, uppercase print on our albums (see the last three images for an example). 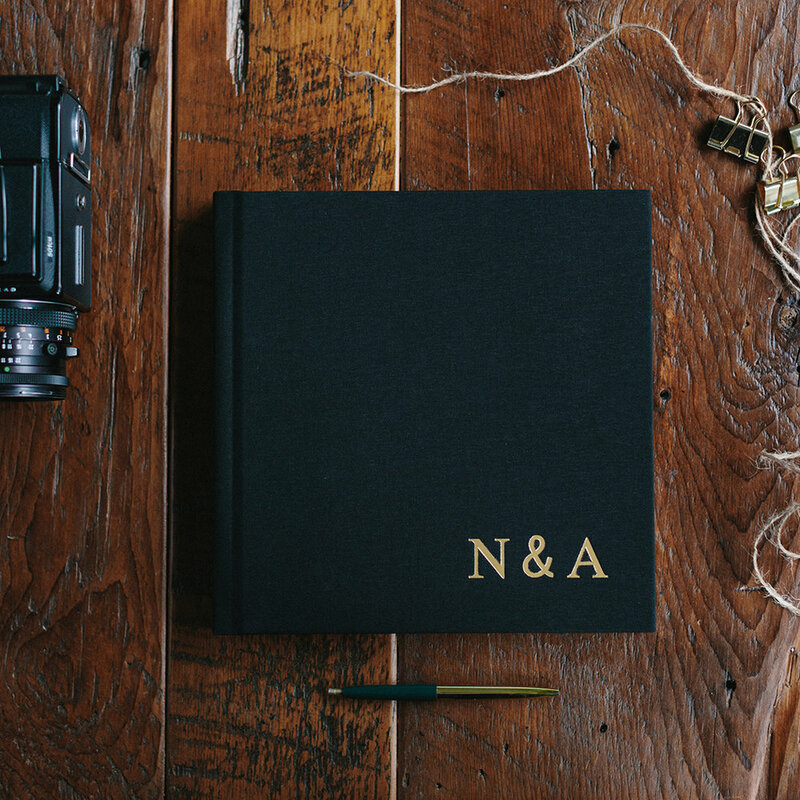 If you are looking for a cover with a little more design impact, one of these options might be the best fit for you. 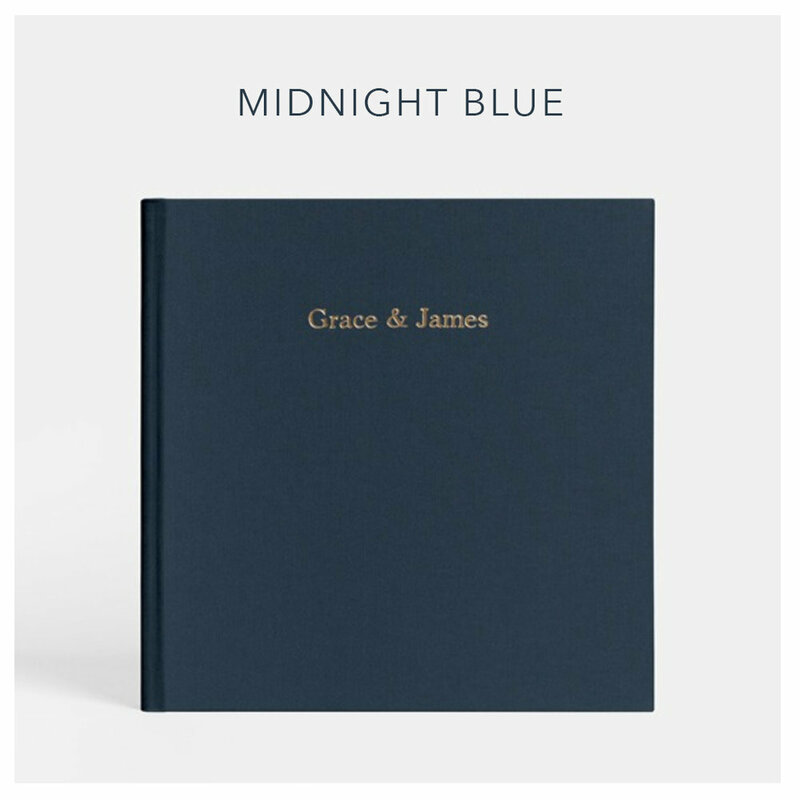 They come with unique cover colour options as well as the choice between five beautifully designed covers (pictured first). If you are interested in a specialty cover please specify which colour and design style you would like. Available for Layflat Albums only. These are the colour options for the Coffee Table Album. 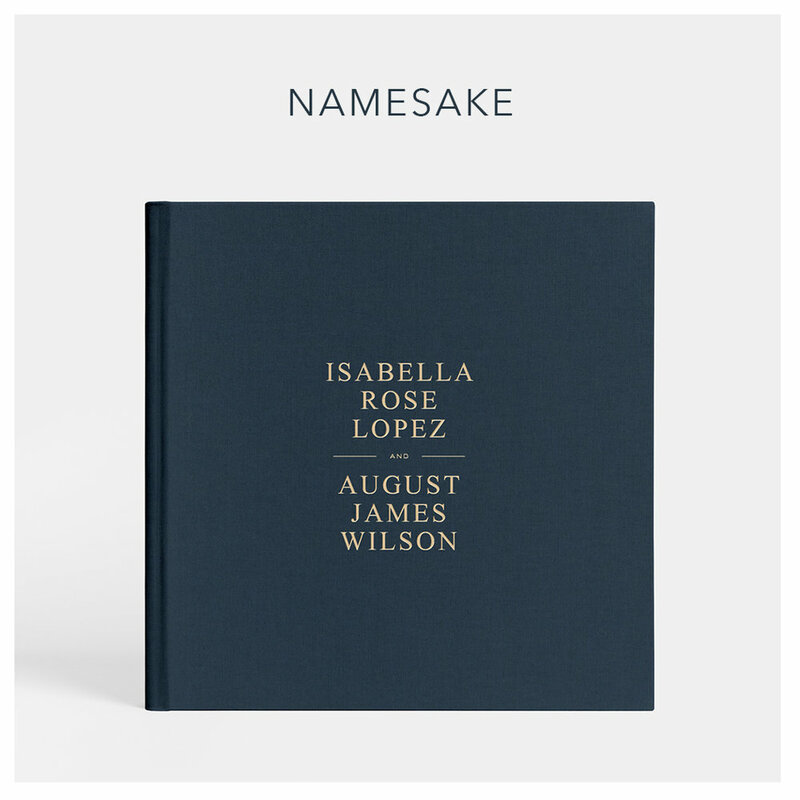 All albums come with a sleeve with your name and date on the front (font as shown). You get the choice between a half sleeve and a whole sleeve of whatever image you choose (see last image for full sleeve). These are the colour options for the Guestbook. 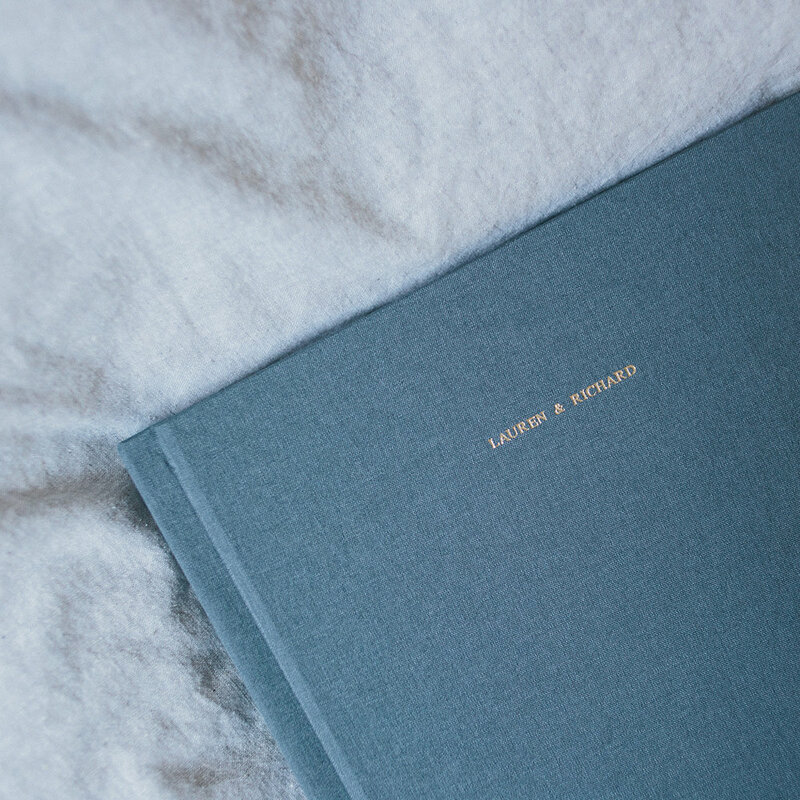 All albums come with foil engraving of your names on the front as well as your date on the binding. 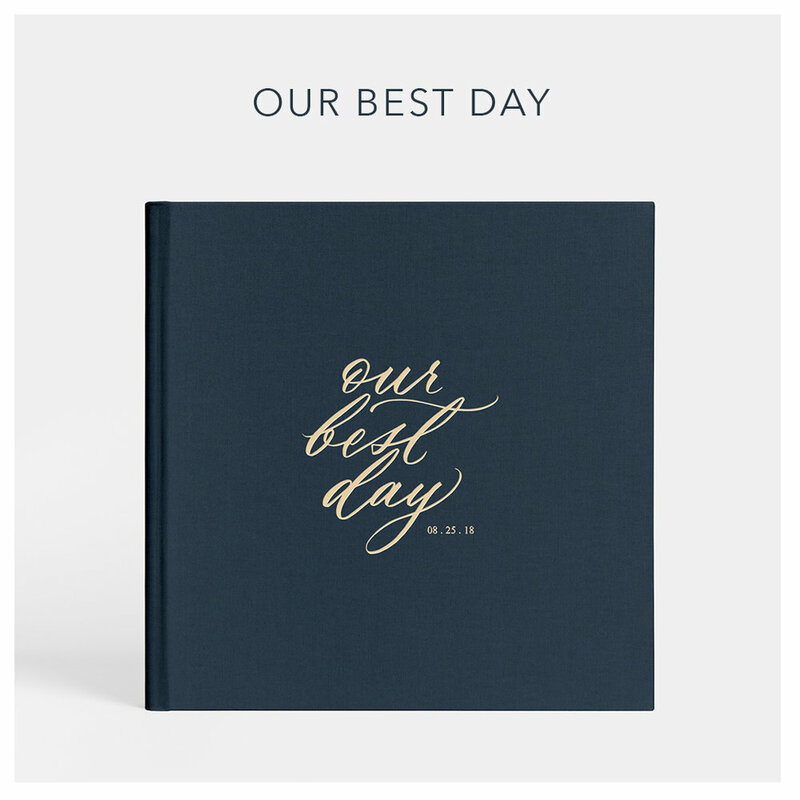 Although the text is large in the swatch previews we offer a smaller, uppercase print on our albums (see the last image for an example) or your initials in large font in the bottom right corner (see second last image for an example).